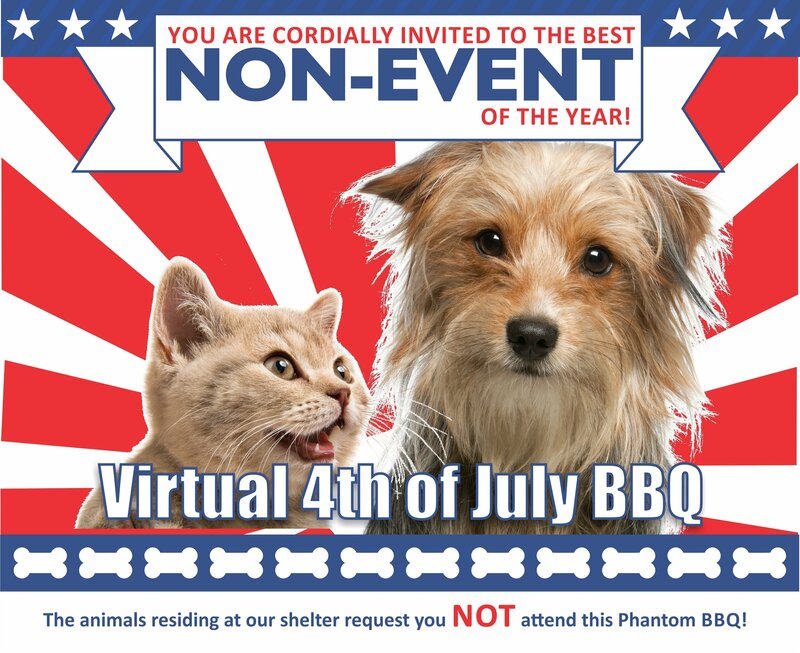 The animals residing at our shelter request you NOT attend this Phantom BBQ! $25 or less permits you and your four-legged friends to go wherever you want. $50 permits you and your four legged friends to do whatever you want. $75 permits you and your four legged friends to skip the BBQ entirely. $100 or more permits you and your four legged friends to skip the BBQ and receive an invitation to skip the next BBQ. Remember, you will be saving a great deal of money – no new outfit for you, no red/white/blue bandanna to purchase for your four-legged friend, no bug repellent spray and no parking fees! All you have to do is get out your checkbook and send your TAX DEDUCTIBLE donation that will help us shelter, spay/neuter, vaccinate, and microchip more than 400 animals that are in our care daily. The more we adopt, the more we save!